Spring & Grove is the way life should be: balanced, uncompromising on quality, and energised from the Australian spirit. We strive to ensure our products are created with our customer’s optimum health and lifestyle in mind. At Spring & Grove, we believe in making informed choices. With confusing marketing making it impossible for everyday Australians to distinguish a healthy product, we set out to create a simple, natural alternative. We are proud to be 100% natural, free of any sugar, artificial sweeteners, artificial colours or preservatives, without compromising on taste. 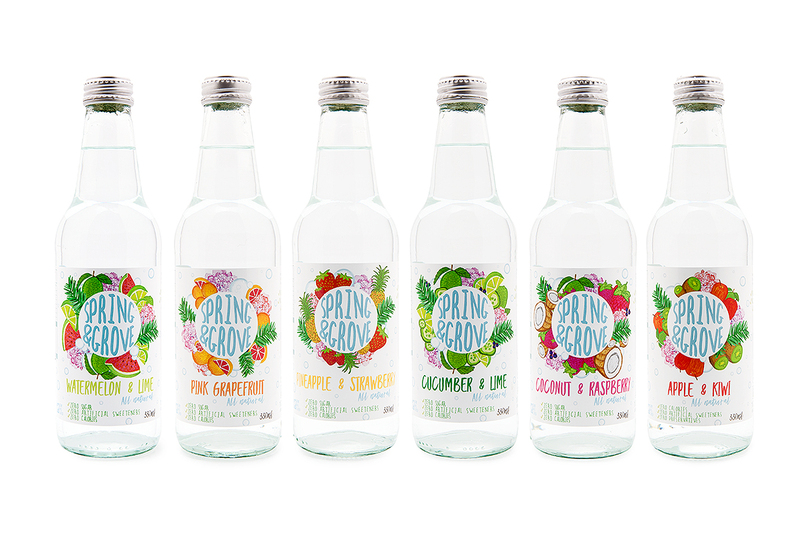 Our founder Karen Foelz was inspired to create Spring & Grove whilst visiting family overseas where she found a much broader range of healthy beverages. A busy working mum, Karen wanted to be able to treat her kids without serving up a glass full of sugar, and couldn’t find a suitable alternative on the Australian market. Now, Karen is proud to offer the Spring & Grove range as a sugar free, natural beverage free from preservatives and artificial flavours. Our premium sparkling water is simply 100% natural spring water, sourced from the purest underground springs in Western Victoria, carbonated and infused with essences and oils from real fruit. Our unique beverages stand up to our belief that neither you, or your family, should compromise on health or quality. Spring & Grove is perfect choice for Australians seeking a 100% natural beverage to complement their lifestyle.